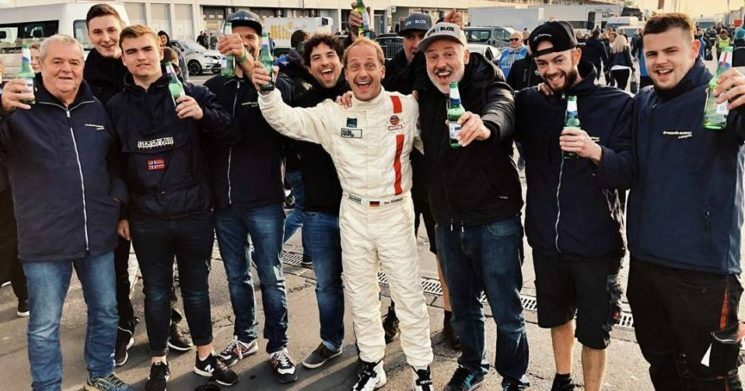 After many years of development and extensive field tests with selected partners in professional motorsport, we now offer our proven LITE↯BLOX product series as a special version for strictly racing applications. 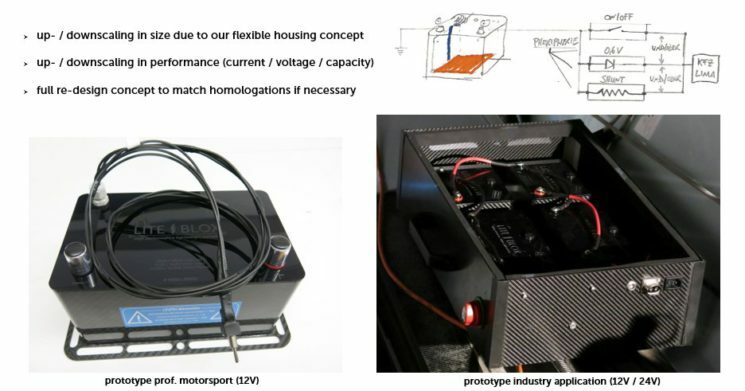 The technology-leading LITE↯BLOX MotorSport accumulator series has been developed in close cooperation with a large semiconductor company to fit automotive standards and comes with an additional DEUTSCH Autosport connector including motorsport harness by DC electronics, enabling full integration into the vehicle’s CAN-bus system. 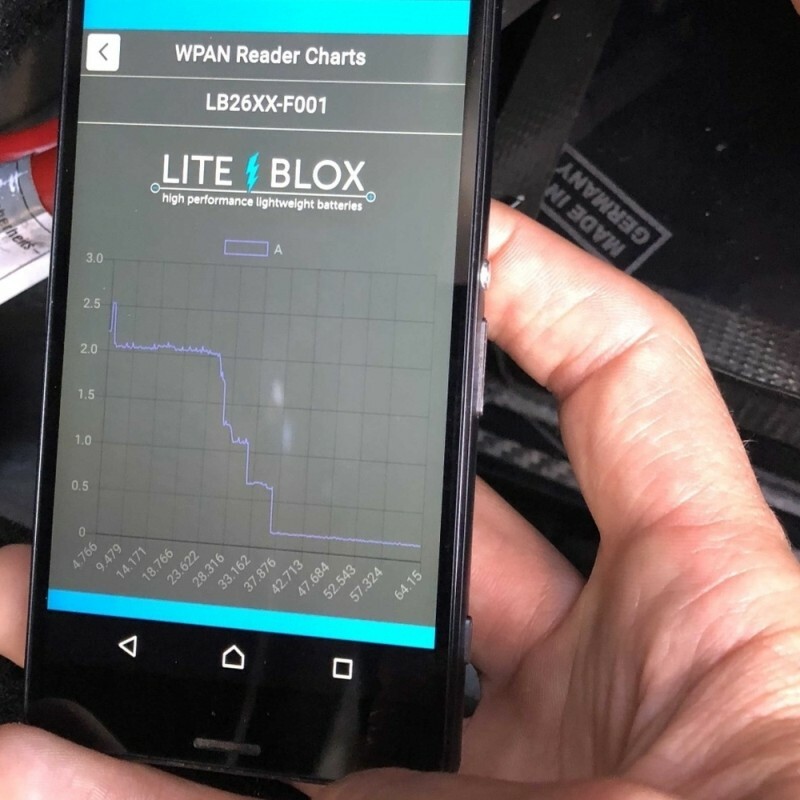 Using state-of-the-art semiconductor elements coupled with a powerful microprocessor, the LITE↯BLOX LBM provides comprehensive & accurate telemetry recording (current, voltage, temperature) over the entire race distance, supporting fault diagnosis in the vehicle periphery – either via CAN bus or integrated wireless interface (smartphone / tablet). 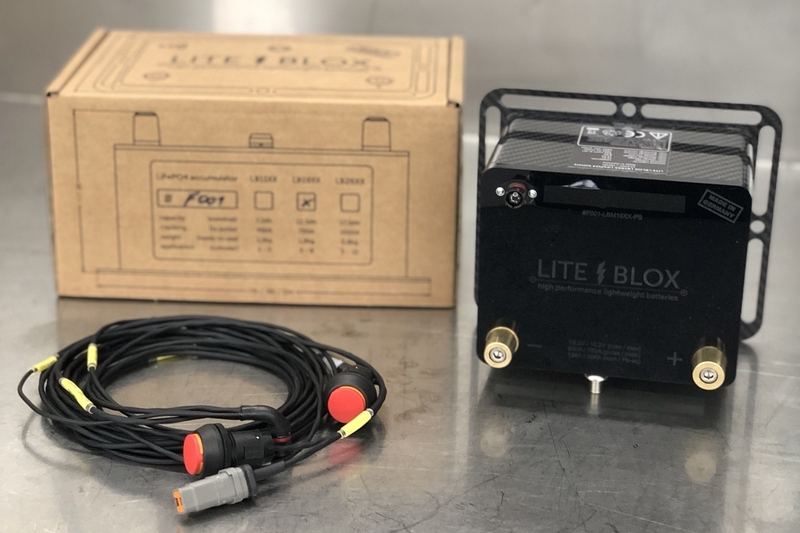 The LITE↯BLOX LBMS replaces the standard car battery plus the common “Solid State Relay” battery isolator module (CARTEK, ARMTECH, etc) at a fraction of the installation cost and has been tested along with the FIA ​​for use in professional motorsport. The scope of delivery also includes a wiring harness with two buttons (IP67), which can be used to switch off the battery inside of the vehicle or by the marshal from outside. The LITE↯BLOX LBMS comes as a derivative of the current product series, tested & fully built by hand at our manufactury in Germany and is now available through our online shop as a variant of all three existing models LB14XX / LB20XX / LB28XX . 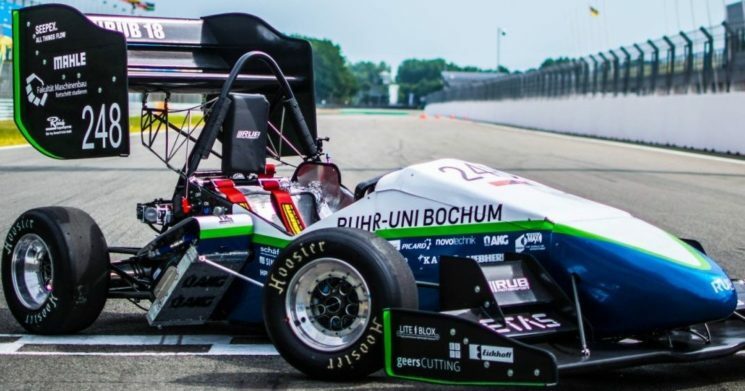 We would like to thank the young up-and-coming motor sportsmen of the #FormulaStudent Team RUB Motorsport for the great cooperation in the past season. “One of the most important decisions in the introduction of the lightweight construction concept in 2016 was the renunciation of an electric generator to bring even more engine power to the road. 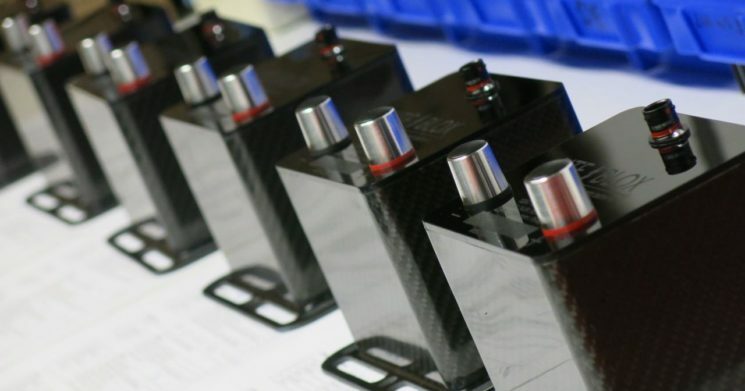 However, since many essential systems in the race car must be supplied with power, accordingly high demands are placed on the battery: This must ensure a complete Endurance race in the Formula Student that the power supply does not break – this would be the end of the race for us mean. 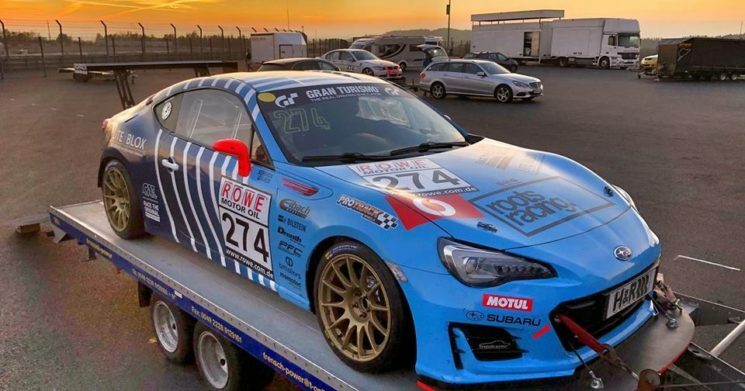 We salute our team #RootsRacing for setting new standards in SP3 class for this years VLN season! A frist glimpse on our brand new LITE↯BLOX 🏁 MOTORSPORT-Version with full CAN / LIN integration, comprehensive datalogging & integrated kill-switch with external wiring (after FIA).